HEALING FROM TRAGEDY: On July 18, 1994, Julia Susana Wolynski Kreiman was among 85 people killed in the terrorist bombing of a Jewish community center in Buenos Aires. Her daughter, Rabbi Claudia Kreiman of Brookline, did not speak publicly about the bombing for a long time. However, she said, she came to believe it is important to vocalize loss and pain. “People need to know we all go through hard times,” she said. On April 1 at 7:30 p.m., Kreiman will co-present “September 11th to the Marathon Bombings: How Do We Heal?” at the Leventhal-Sidman Jewish Community Center, 333 Nahanton St. in Newton. She will be joined by One Fund Boston administrator Ken Feinberg and Needham resident Susan Retik, who cofounded the nonprofit Beyond the 11th after her husband, David Retik, lost his life on Sept. 11, 2001. 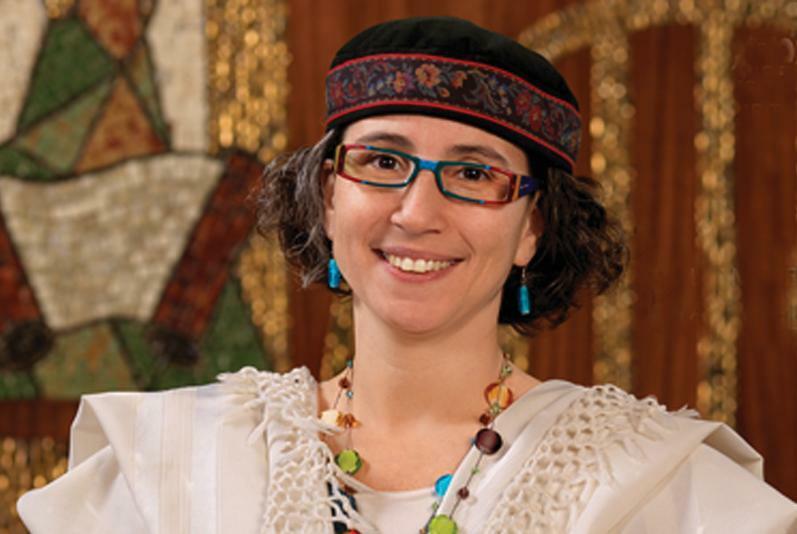 Kreiman, associate rabbi at Temple Beth Zion in Brookline, grew up in Chile and moved with her family to Argentina at age 18. Her mother died while at her job helping find jobs for the unemployed. Admission costs $18, or $15 for students and seniors. For more information, call 617-965-5226, e-mail boxoffice@jccgb.org, or visitbostonjcc.org/artsevents. LGBT PRIDE: Sarah Libbey and her husband, Don, could tell that something was upsetting their son during his freshman year at Needham High. Libbey said that recollection demonstrates the importance of keeping open lines of communication, and also knowing as a parent when additional resources are necessary. Since being referred to the website for Greater Boston PFLAG, she has become actively involved with the Waltham-based nonprofit organization, which supports lesbian, gay, bisexual, and transgender (LGBT) youth and their families. Libbey, president of Fidelity Charitable and executive sponsor of Fidelity’s PRIDE employee resource group, is one of three cochairs of the Greater Boston PFLAG Pride and Passion gala and auction on April 3 at 6 p.m. at the Seaport World Trade Center in Boston. The others are Lexington resident Stanley Griffith, a retired attorney and chairman emeritus of Greater Boston PFLAG; and Holly Safford, founding president of The Catered Affair in her hometown of Duxbury. Milton resident Joanne Jaxtimer will be honored for her efforts to spearhead corporate diversity and inclusion programs. Libbey said she is just one of many who are enthusiastic about helping parents support their own children’s paths to self-acceptance. According to the Centers for Disease Control and Prevention, LGBT kids who are rejected by their families are eight times more likely to attempt suicide. For more information, call 781-891-5966 or visit gbpflag.org/prideandpassion. An author, illustrator, and president of the Historical Society of Watertown, Roach has made the Salem witch trials the subject of three of her nine books. She will discuss her most recent title, “Six Women of Salem: The Untold Story of the Accused and Their Accusers in the Salem Witch Trials,” on April 2 at 6:30 p.m. for the Author’s Night series at Stellina Restaurant, 47 Main St. in Watertown. The 472-page book provides a humanizing, biographical sketch of six of the most famous accused and accusers: Rebecca Nurse, Ann Putnam, Mary Warren, Bridget Bishop, Tituba, and Mary English. In addition to recounting the historical details, Roach begins and ends each chapter with short, fictional passages about the experiences of those who suffered during the period. DISTINGUISHED ALUMNI: Richard K. Miller, the founding president of Franklin W. Olin College of Engineering in his hometown of Needham, has been named one of the California Institute of Technology’s 2014 Distinguished Alumni. Miller earned his PhD in applied mechanics from Caltech in 1976, where his research focused on making buildings more resistant to earthquakes. He was appointed the president and first employee of Olin College in 1999.